﻿ Should I Hire a Pro to Remove my Bats? USA Wildlife Removal Education Guide - Should I Hire a Pro to Remove my Bats? Whether or not to use a pro depends largely on your own ability and resources, where and how the bats are hanging out and how long they’ve been there. A bat colony can comprise as few as several dozen to literally thousands of the animals. The animals can access buildings through openings so small that they are hard to spot. And since bats are active mainly at night, you may not even aware of the true dimensions of your bat problem until you perform a visual inspection. 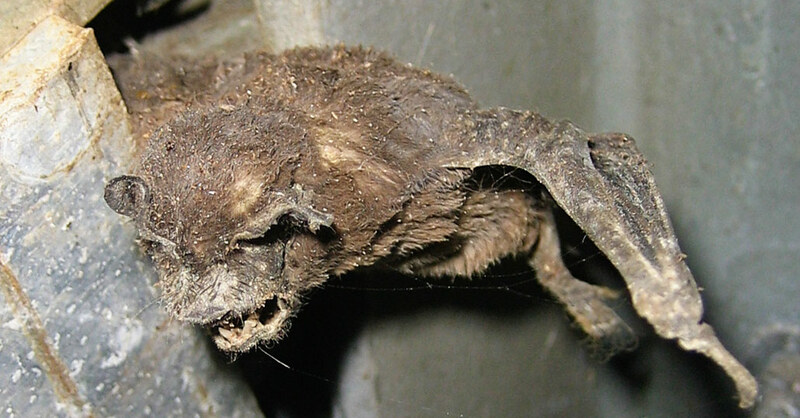 Once bats occupy your attic, they are not only hard to remove but even if removed, they are hard to keep out. Moreover, dried bat droppings harbor spores of a fungus that can cause histoplasmosis. If the droppings are disturbed the air can be filled with spore-laden dust that if breathed, can make you seriously ill. Nevertheless, if you choose to solve the problem yourself, the first thing that you will need to do is to monitor their movements, determine how they come and go, and exclude them by closing off any openings that would allow reentry once they leave the roost. That usually involves both day- and night-work. In order to identify the points at which the animals come and go, you must first must go into the attic during the day and see where light comes in, since those places are the entry/egress points for the bats as well. As you move about the confined space, you must be careful not to disturb the bat guano that has accumulated under the roost. Once you’ve identified all of the openings that allow the animals to come and go, you have to close them. That involves tools, supplies, a ladder and often a trip to the hardware and/or building supplies store. You will need caulking for the cracks and small spaces, and screening and wood to first, create one-way exclusion devices, and second to close off the openings once you’re sure that all of the bats are out. After you’ve accomplished the exclusion, you’re still faced with the job of cleaning up after the animals, itself a potentially hazardous process. And for that stage of the project you must be sure to have the proper protective gear. Suffice to say, excluding a bat colony and cleaning up after them is usually a complicated and time-consuming job. Professionals have the personal gear and equipment as well as the know-how to handle it from start to finish. So unless you have the time, tools and patience, let them handle it. Go back to the main Bat Removal page for more information about Should I Hire a Pro to Remove my Bats? .